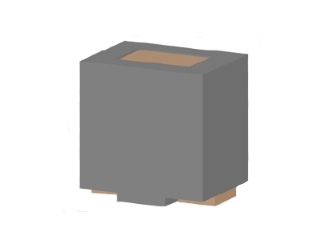 High current output chokes, upto 73.00 Amp with approx. 50% roll off. Low Profile 12.00 mm Max.height. 10.80 x 8.20 mm Foot Print. Operating Temperature Range -55°C to + 130°C , RoHs & HF compliant. T & R Qtys: 350 pcs , 13'' Reel.